SIMPLY… WE DO THINGS DIFFERENTLY! Our Indian takeaway mission at Slumdog Delivered is to lovingly create food that is inspired by India’s most-adored dishes. Recipes that have remained largely untouched for centuries – but give them our signature ‘Slumdog Spin’ to really make them sing! Indian takeaway menus are generally huge, sprawling things with hundreds of iterations of dishes that, are in fact, very similar to one another. We, however have made choosing your dish refreshingly easy, by simplifying our menu to include just dishes that are not only authentic and delicious, but completely distinct from one another. Amazing Indian takeaway food isn’t any good if it shows up late, limp & cold! 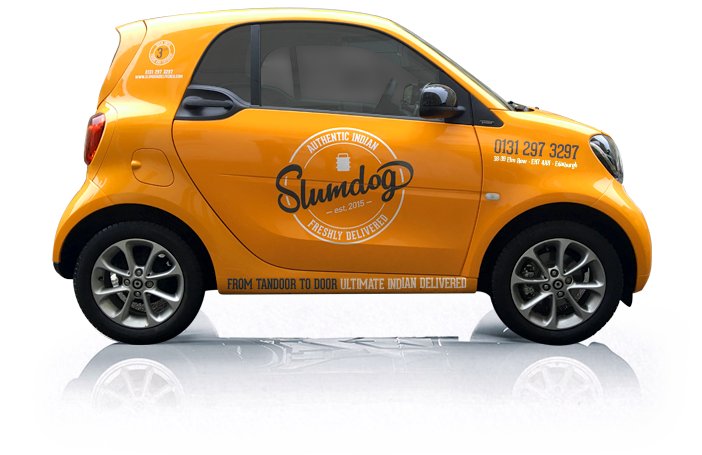 Our fleet of cheeky orange delivery cars are dedicated to getting your food to you quickly and in the same mouth-watering state as it came out of our oven!! Edinburgh is a great city for eating out and our cafe is an ideal for a spot of lunch or dinner on your way into town or way back along your walking commute. Fresh Indian food served every day on Elm Row, Leith Walk. 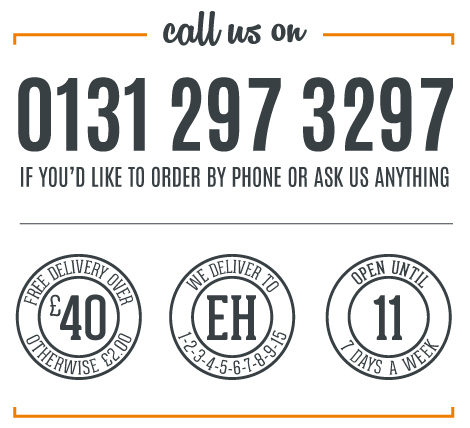 Feel free to call into our Indian takeaway to pick up a menu and chat with the staff about the specials.